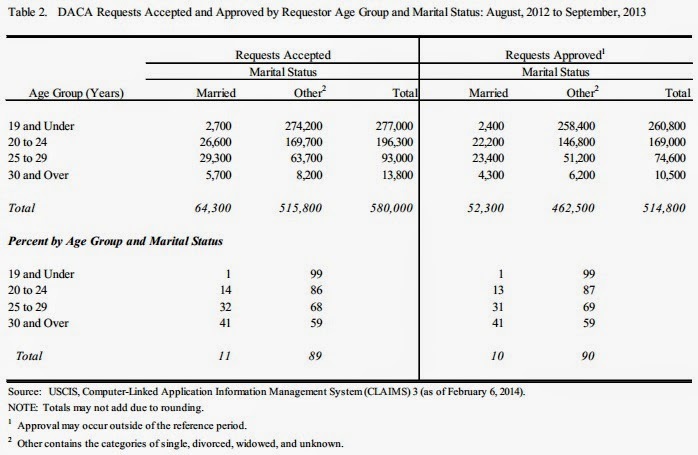 Existing data currently published by USCIS for DACA provides statistics on program operations (e.g., number of receipts accepted, rejected and approved, etc.). 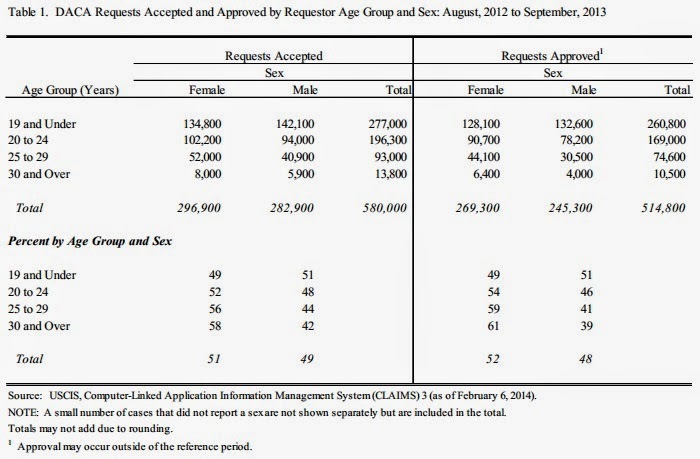 In contrast, this data table release disseminates information on the characteristics of DACA requestors in a manner which sufficiently protects their privacy. The DACA program was first implemented August 15, 2012. In order to report the information for a minimum of a 12-month period and to create a consistent reporting period (e.g., by fiscal year) for future releases, data are aggregated for August, 2012 to September, 2013 (13 and ½ months). 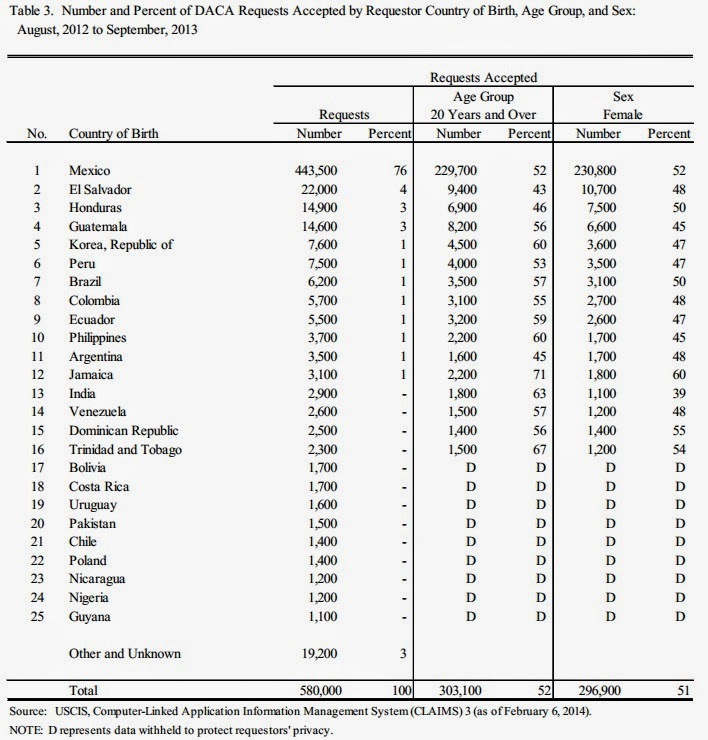 The characteristics data are presented by date received by USCIS for 1) the number of requests accepted by the USCIS Lockbox (all receipts except those rejected during the receipting process) and 2) the number of requests accepted by approval status (approvals only). Tables presented above display the data by the aforementioned characteristics for all accepted requests and approvals—both as stand-alone tables and combined characteristics. As recommended above, all data presented are rounded. Unrounded data are used to calculate all table totals and percentages. As a result column and row totals may not add when rounded.